AIPAC-WALL STREET-ISRAELIS = OWN OUR GOVERNMENT AND ROB OUR NATION OF ITS WEALTH AND FUTURE = $1.6+ TRILLION IN WELFARE TO ISRAEL SINCE 1972 ITEMIZED BELOW: | Concise Politics -- Your Time should NOT be wasted. TOTAL ISRAEL COST (1973 to 2003) TO AMERICANS = $1.6 Trillion — Stauffer Reports = DOUBLE Cost of the Vietnam war. ISRAEL AID = 7,000 X more US foreign aid/person than 2nd place nation = Despite fact Israel is one of the world’s more affluent nations. 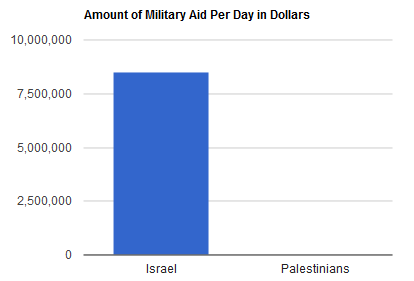 ISRAEL = Foreign aid is just one component of the staggering cost of our alliance with Israel. Privileged access to US military technology SECRETS against both US government & corporate interests. ISRAEL = Tremendous costs to Americans = IS AMERICAN LAVISH AID WORTH IT TO AMERICANS? ISRAEL AID = Gets all aid money at start of each year = NOT in quarterly installments like other countries = USA PAYS THE EXTRA INTEREST ON BORROWED MONEY = $100 Million/Year. ISRAEL AID = SPECIAL PERK = Can purchase products made by Israeli companies instead of US companies. ISRAEL AID = PEACE BRIBERY = $1.6 Billion/Year to Egypt + $1.6 Billion/Year to Jordan = USA pays in exchange for peace treaties with Israel = NO justice for Palestinians included. ISRAEL AID = PEACE BRIBERY = $400+ Million/Yr to Palestinian Authority = Mostly Rebuild infrastructure destroyed by Israel + Prop up STIFLED ECONOMY (caused by Israel’s APartheid Occupation). ISRAEL AID = Buried in USA Agency budgets (mostly Defense) = $202 Million/Year to $504 Million/Year for missile defense programs in Israel. ISRAEL COST = GOP Legislation would give Israel $680 Million MORE for Iron Dome system through 2015. ISRAEL COST = $TRILLIONS SAVED If USA had not invaded Iraq = Intense AIPAC-NEOCON Sustained pressure using FAKED WMDs on behalf of Israel = 4,000-plus U.S. DEATHS + Untold 100s of thousands of Iraqi deaths — Retired US foreign service officer Shirl McArthur. ISRAEL COST = $3+ TRILLION FOR FAKED IRAQ WAR = Nobel Prize-winning economist Joseph Stiglitz in Harvard Magazine + Incalculably more if you take into account the MISSED opportunity costs of resources spent on USELESS UNPRODUCTIVE WAR. ISRAEL COST = Higher oil prices due to FAKED IRAQ WAR = Devastated America’s economy + MASSIVE Surge in federal debt + USURY COST of servicing that debt. ISRAEL COST = FAKED IRAQ WAR ROBBED RESOURCES FROM Afghanistan war = CAUSED that war to be MUCH LONGER AND MORE COSTLY. ISRAEL COST = Israel lobby is NOW FAKING WMDs in IRAN = Gunning for a war with Iran with the same zeal they showed in the run-up to the 2003 invasion of Iraq. ISRAEL = Net trade, earnings, and payments is ranks 30th in world while the US sits in last place at a dismal 193rd. ISRAEL = Receives more America’s foreign aid than any other nation. ISRAEL = Gets More Aid than all of sub-Saharan Africa, Latin America, and the Caribbean combined = Total population of over a billion people. ISRAEL COST = Why does America continue to pour money into WAR CRIMES NATION that commits daily human rights violations + HURTS US strategic interests + Provokes rage and resentment among Billions of people + Robs USA Technology + Competes with US interests using technology subsidized by US taxpayers + Sells America’s military secrets to USA’s enemies (CHINA). ASSUPMTION = “two countries…shared strategic interests or compelling moral imperatives, but neither explanation can account for the remarkable level of material and diplomatic support US provides.” = NO TWO COUNTRIES SHARE SAME INTERESTS. AIPAC = Consistently ranked in top two most powerful lobbies in America. AIPAC = OWNS AND CONTROLS US Congress + Executive Branch = GUARANTEES support for virtually any wish of the Israeli government = NO matter how at odds with US national interest or security it is. AIPAC = Two AIPAC employees = Indicted on espionage charges in 2005 = Obtained classified US SECRETS illegally and passed it to Israeli agents = Steven Rosen filed a lawsuit for defamation = His actions were common practice at AIPAC. Israel = BOMBED a U.S. Navy USS Liberty ship in 1967 = MURDERED 34 Americans = Injuring 170+ = Aid to Israel quadrupled following year. AIPAC COST = USA taxpayers foot the bill for ACTS OF AIPAC. This entry was posted in AIPAC-WALL STREET-ISRAELIS = OWN OUR GOVERNMENT AND ROB OUR NATION OF ITS WEALTH AND FUTURE = $1.6+ TRILLION IN WELFARE TO ISRAEL SINCE 1972 ITEMIZED BELOW: and tagged AIPAC-WALL STREET-ISRAELIS = OWN OUR GOVERNMENT AND ROB OUR NATION OF ITS WEALTH AND FUTURE = $1.6+ TRILLION IN WELFARE TO ISRAEL SINCE 1972 ITEMIZED BELOW:. Bookmark the permalink.